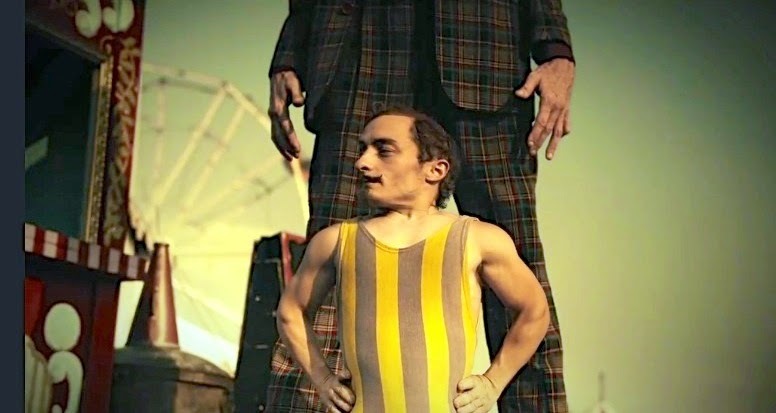 The newest teaser for "American Horror Story: Freak Show" proves that all creatures, big and small, can get along. Check out "Big and Small" as well as the synopsis for the first episode which airs on Wednesday, October 8 at 10 p.m. ET. We've also included the full trailer in case you missed it last week. One of the only surviving sideshows in the country struggles to stay in business during the dawning era of television. When police make a terrifying discovery at a local farmhouse, the eccentric purveyor of the freak show (Lange) sees an opportunity that will lead her troupe either to their salvation or ruin. Written by Ryan Murphy and Brad Falchuk; directed by Ryan Murphy.